Web services composition is an emerging paradigm for the integration of long running business processes, attracting the interest of both Industry, in terms of XML-based standards for business description, and Academy, exploiting process description languages. The key challenging aspects to model are orchestration workflows, choreography of exchanged messages, fault handling, and transactional integrity with compensation mechanisms. Few recent proposals attempted to mitigate the explosion of XML-constructs in ad hoc standards by a careful selection of a small set of primitives related to the above aspects. 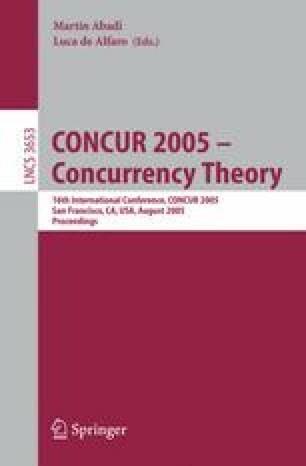 This papers clarifies analogies and differences between two such recent process description languages: one based on interleaving trace semantics and the other on concurrent traces. We take advantage of their comparison to characterise and relate four different coordination policies for compensating parallel processes. Such policies differ on the way in which the abort of a process influences the execution of sibling processes, and whether compensation is distributed or centralised.